Be prepared for when your next adventure gets soaked! 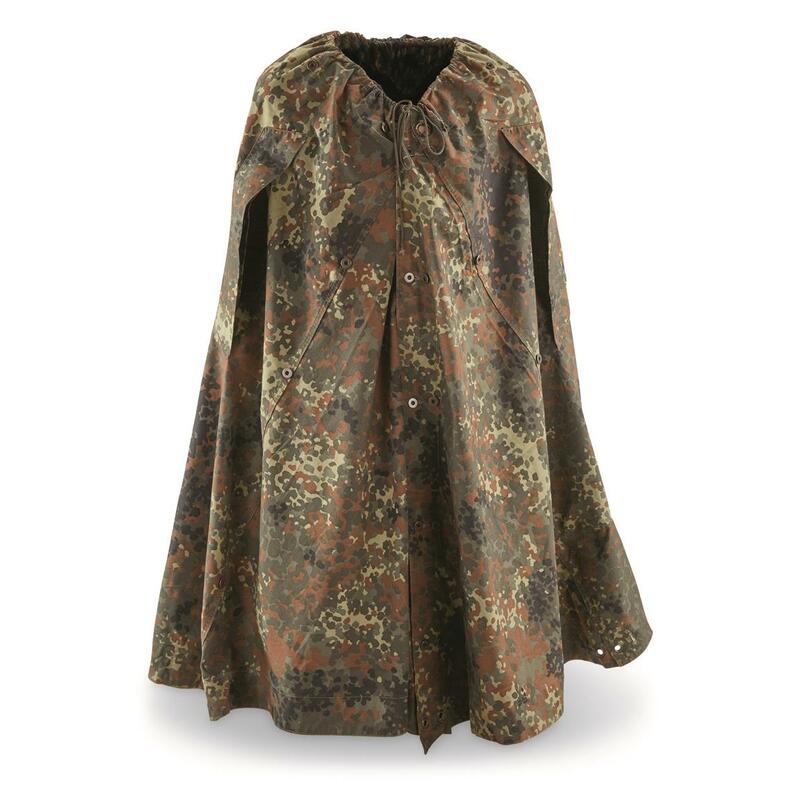 Top quality, German military issue Poncho transforms into an emergency Shelter when you need it most. Heavyweight cotton, coated with water-resistant nylon. Easy to take with you just in case. 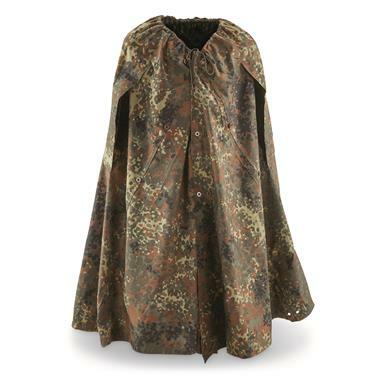 Built to legendary German military requirements, including cool German Flecktarn camo. All for a way cheaper price than any comparable option at the camping store! Ready for rain! Order today!